Looking for a cute Ghost Craft? This Halloween craft doubles as a cute DIY Halloween decoration that kids will love. The kids and I have been doing a lot of pom-pom type crafts lately. These types of crafts are so simple and need very little in supplies but they are so cute. And they are so stinking cute! With Halloween coming fast, we decided to make a ghost craft. 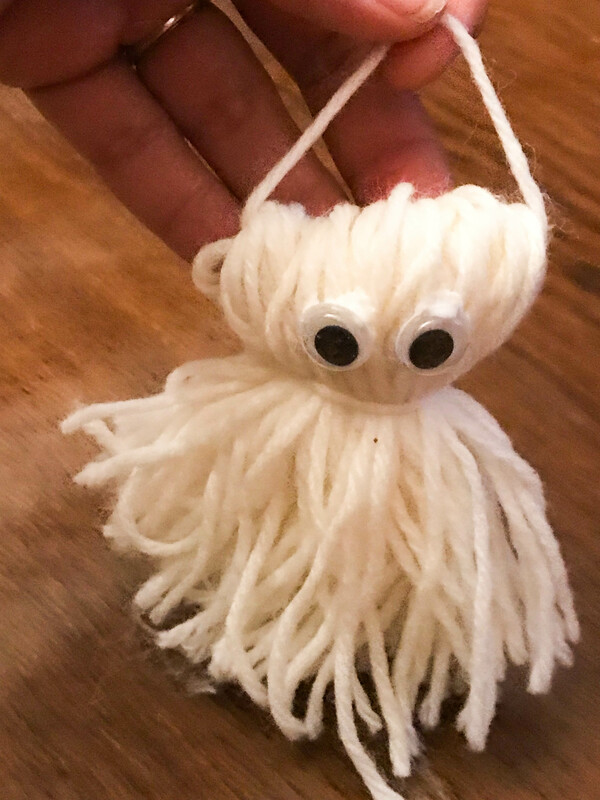 What cuter way to make this simple Halloween craft than doing a pom-pom ghost? 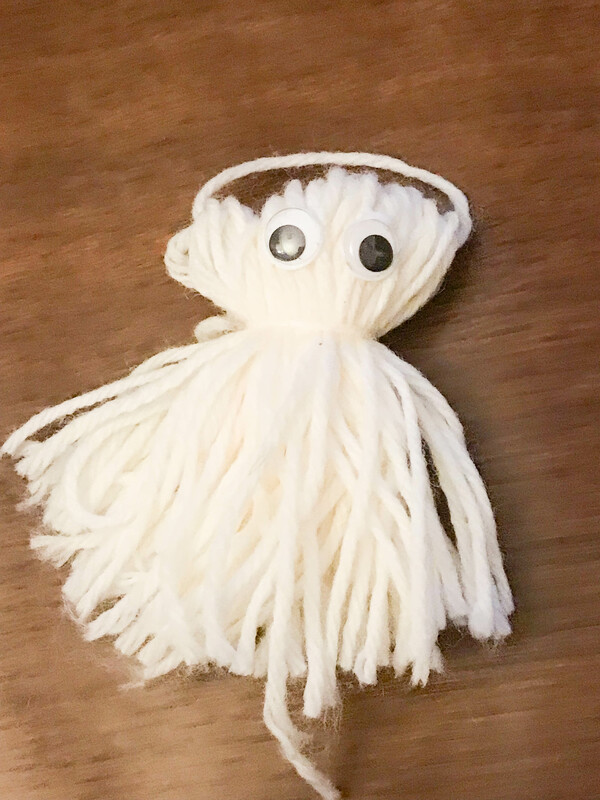 You can use this cute little ghost to decorate a backpack, on a door handle or wall, or just about anywhere. I am thinking about seeing how it works when it is attached to a hair tie for a cute hair decoration. We already have a cute spider that is such a fun Halloween Hair Style. 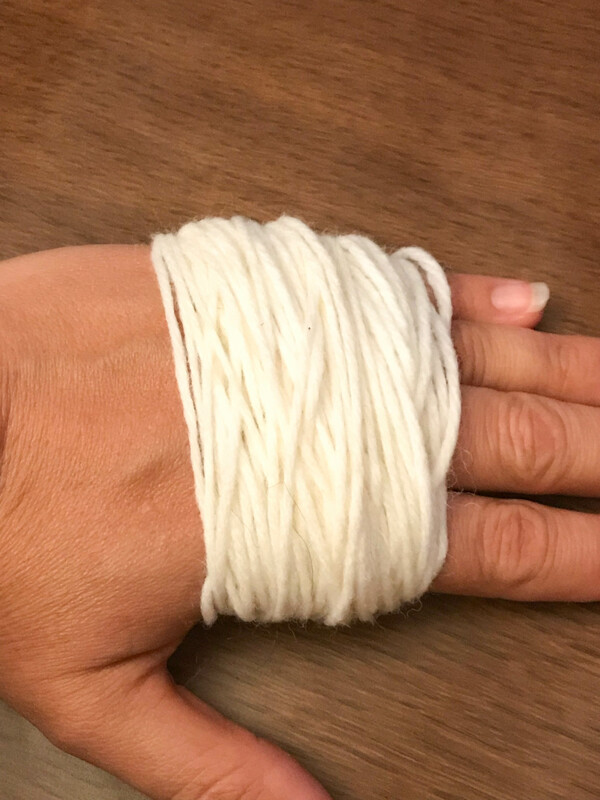 Wrap yarn around your hand. This is the beginning of the pom-pom. How many times you wrap helps to determine how big or small your ghost will be. There is no right or wrong amount. Slide the yarn off your hand. 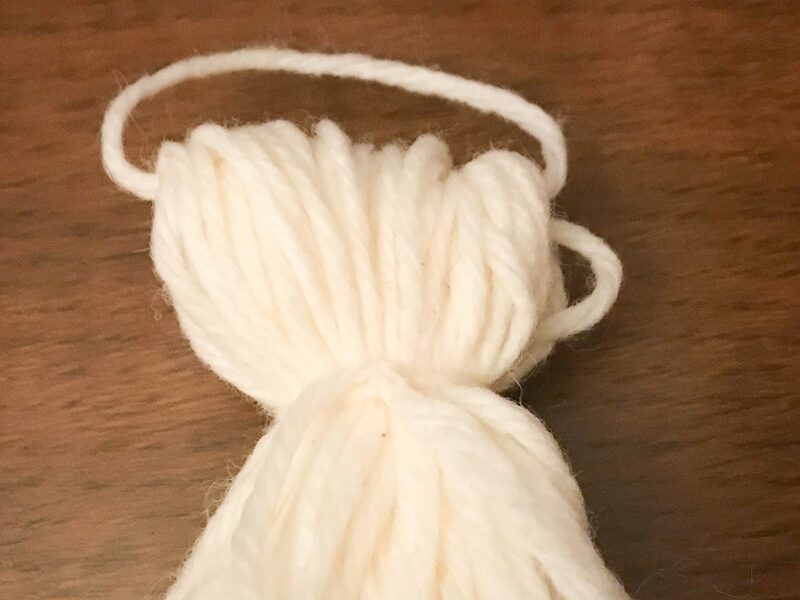 Use a separate piece of string and create a handle to hang the ghost from. Slide the piece of yarn through the loops of the top of the yarn. Next, tie another piece of yarn around the yarn. This is creating the head of the ghost. 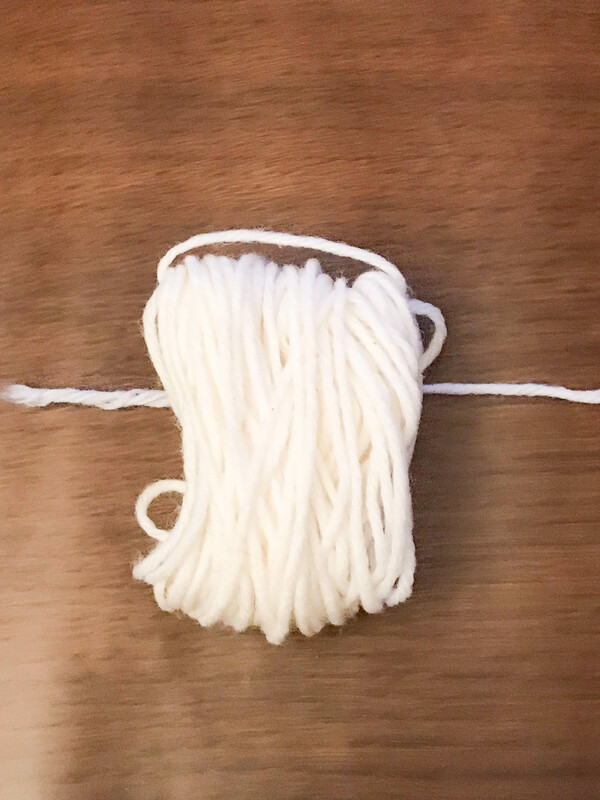 You want to tie the string a little higher than halfway. Next, cut the ends on the bottom. This forms the bottom of the ghost. 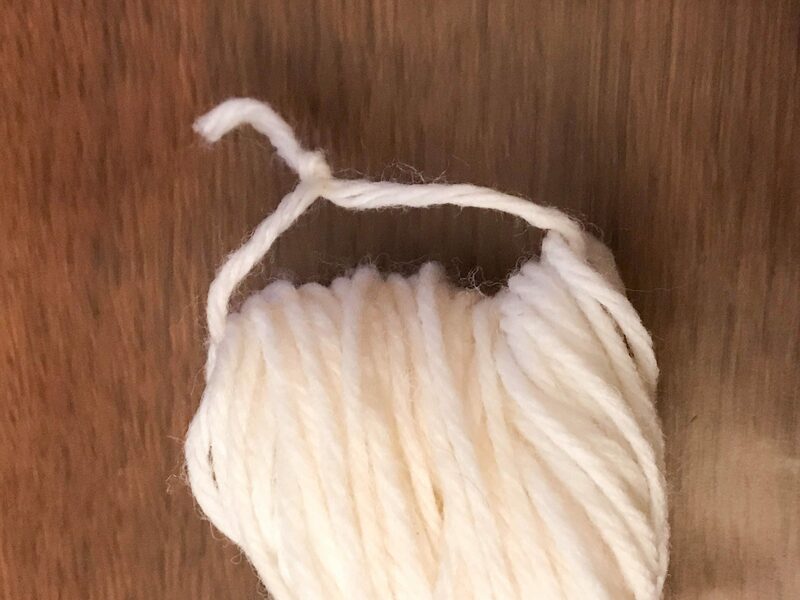 Normally when making a pom-pom you cut both ends. We are not cutting the other end because that is the head. Next glue 2 googly eyes on the head. Now you have a cute ghost that you can hang anywhere. For another decoration idea, make several ghosts. Then add a long piece of yarn or rope through the handles and hand them like garland.